Top 15 GTA 5 Features! After watching the new GTA 5 gameplay trailer, we have pulled off some exciting new features from the Grand Theft Auto. As the release date in September comes closer, fans can count on these top 15 new GTA V features from the trailer footage! 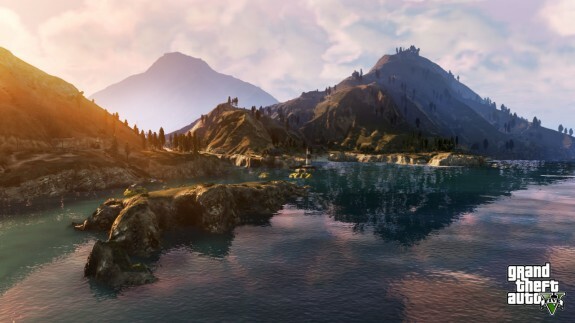 GTA 5 map is actually as big as GTA 4 and Red Dead Redemption maps combined. It is no wonder then that all the vehicles and beautiful looking scenery in that huge map requires a massive install in Xbox 360 and PS3. So this is not of course the first time when GTA is letting players fly a plane, but in this version, players will find a considerably big collection of planes and helicopters. 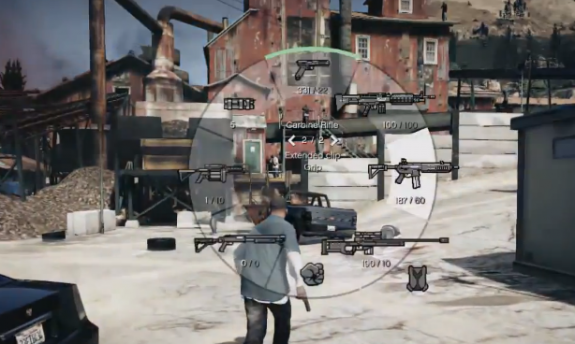 In the gameplay footage of GTA 5, we also see a range of planes in multi-player setting including the military places. 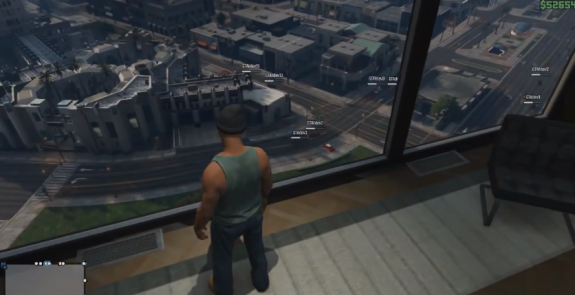 GTA 5 lets you pick your own methods, crew and plans! Unlike the numerous open world games and the GTA 4 itself – which restricts players to perform certain action to move along the plot – GTA 5 gamer will be able to choose how to pull of missions and make his / her own plans. 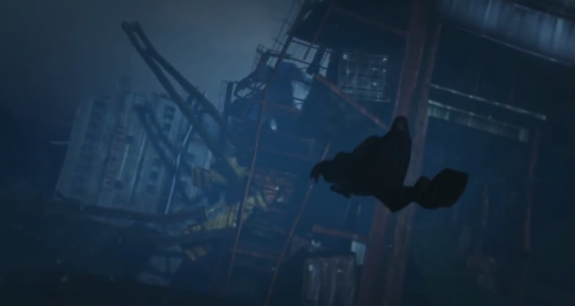 Although, there would be limits, but the trailer shows players going smart, quite loud and violent. Spend your cash: customize cars and clothes! 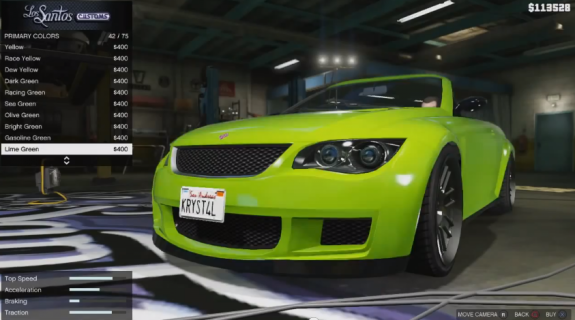 GTA 5 offers a variety of customization options. GTA V has been added with loads of fun ways to spend your cash on clothes and cars. From what we can see in the GTA 5 trailer, the game will let users customize wheels, paints and more along with the choice of clothes for a custom look. No more being stuck between a suit and track pants! 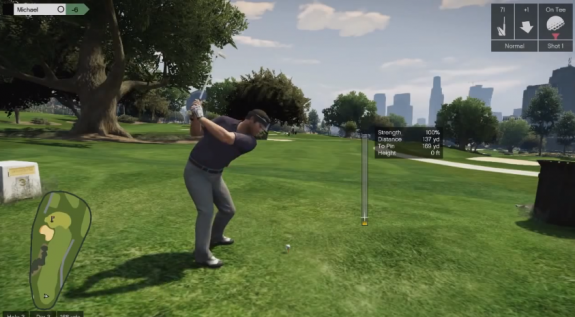 GTA V is packed full of other games like tennis, golf and cycling! If you need a break from game’s violence and want to explore GTA 5’s non-violent sides then take a trip to a tennis court or a golf course and relax! We do not know if there will be a Rockstar Table Tennis game or not, but there are going to be two mini games that let players get a fix of Virtual Tennis and Tiger Woods without leaving the game. 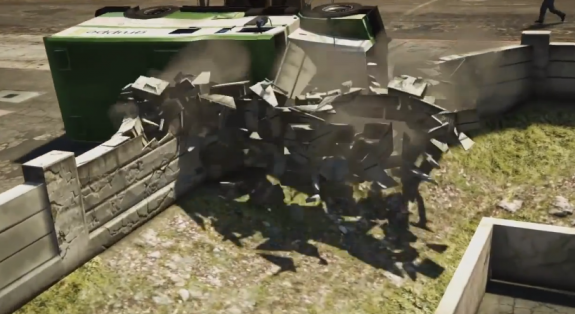 In GTA 5 gameplay trailer video, there is a crumbling wall when the group of miscreants smash an armored car into the wall. Yes, GTA games already offer some destruction in the environment, but from the looks of gameplay, GTA 5 has upped the game considerably. 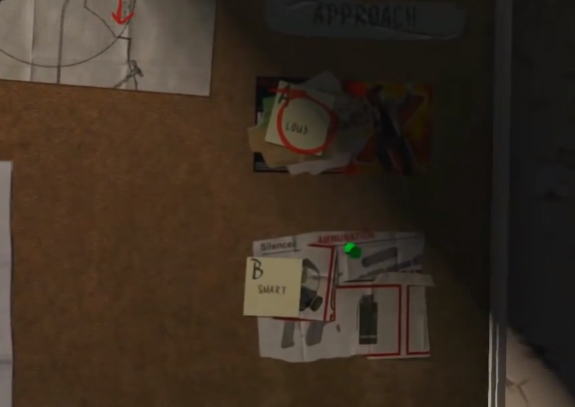 Details shared for multiplayer in GTA 5 are slim, but the sneak peek looks promising. 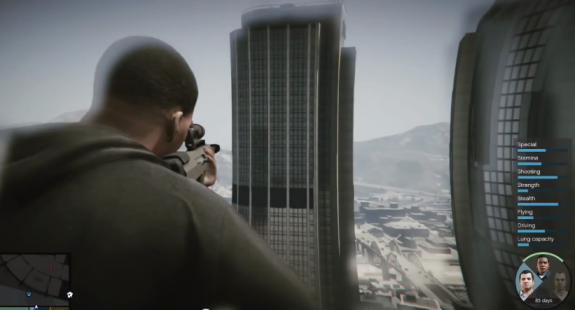 Rockstar teases GTA 5 multiplayer in a few seconds of the gameplay footage. 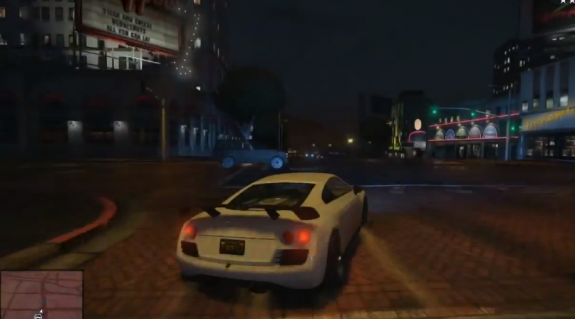 Based on this trailer GTA 5 multiplayer looks like a world full of players driving, flying and causing havoc all around. You can jump between three main characters in GTA 5 as the game comes with three protagonists running the show. Although, you can’t kill your co-conspirators, you can jump between them when not in some mission. This will help players to jump between lives and settings to explore, giving more fun playing as other people. To help out other players, during missions players will be able to switch when needed, hence pulling off more complicated plots than before. 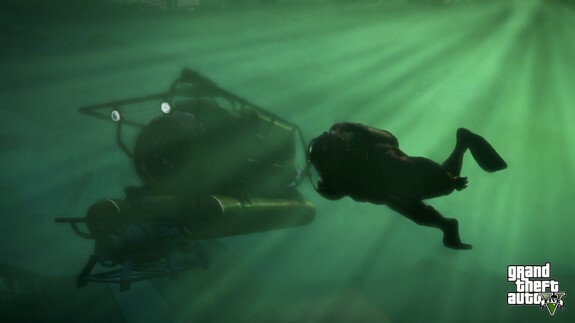 When bored with everything outside, just get into your diving suit and explore the depths of GTA 5! There must be some missions that would involve diving, but we hope that players would also be able to go exploring in the ocean at will. Yes, you heard it right! 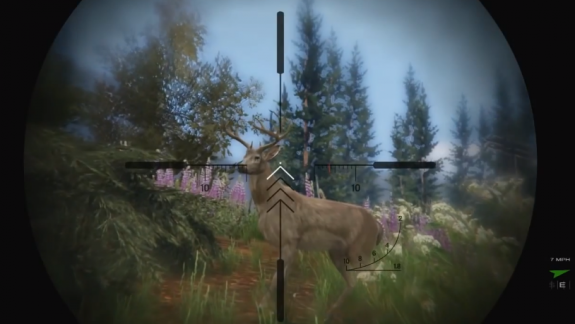 You can now go hunting in GTA 5. No more of Cabela’s Most Dangerous Hunts to get your dose of hunting on the Xbox 360 or PS3. GTA 5 players can now head to the wilderness outside of the metropolis to hunt – and be hunted! We for one can’t wait to explore the wilderness. 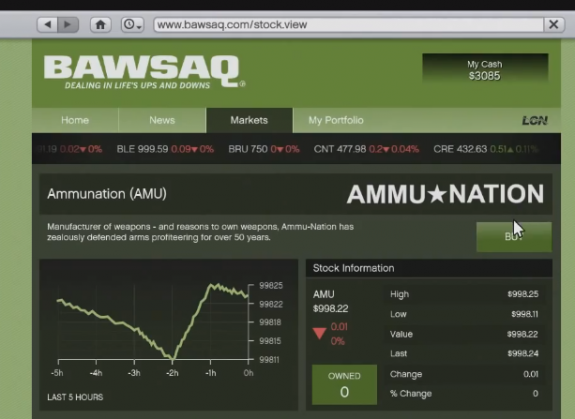 GTA 5 lets users invest or splurge with their cash. You can now spend it on weed, tattoos or choose to buy real estate and stocks – just the way in real life. Investments will then pay off, offering more cash for your needs. Or they can go tank too. Hymph. Rockstar calls fast cars and tattoos one of the smart investments. The driving in GTA 5 is new, exciting and much improved. From the gameplay footage, it looks like the driving experience should be more enjoyable. In GTA 4 driving was quite sloppy with drifts and awkward steering throughout. Rockstar claims things are better now giving spectacular driving experience. Rockstar now delivers a new way of picking the weapons in GTA 5 with new shooting mechanics that looks smooth and fun. No more frustrating and clunky experience of picking weapons like in GTA 4. Players can now quickly switch between weapons with a new added menu option and shooting too looks very improved. Says aye to a submarine! Not a part of the gameplay trailer but there is a submarine in GTA 5. We bet you can’t wait to take the sub out for a spin! In GTA 5 you can get some extra cash playing bounty hunter. 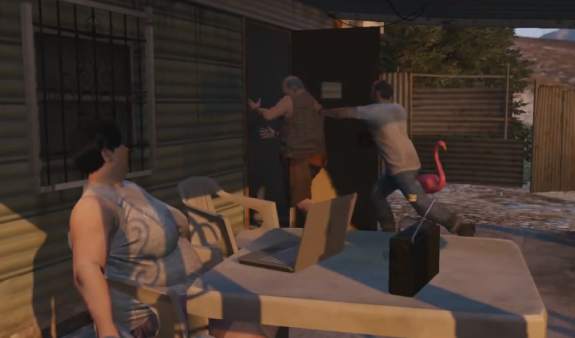 The gameplay trailer shows Trevor cashing in a bounty at a trailer home in the middle of a desert. Promising fun diversions from the main heists.